Masahiro Tanaka, who went 24-0 last season, turned 25 on Nov. 1. Never has a Japanese pitcher with the pedigree, youth – 25 years old – and track record in Nippon Professional Baseball of Masahiro Tanaka been available to the highest bidder in a traditional, free-agent, negotiation. Therefore, we can anticipate an unprecedented contract. Many will point to Tanaka’s spotless 24-0 record last season in Japan. We understand, however, that the win statistic is an undependable indicator of future success as it’s largely dependent on factors outside a pitcher’s control and shouldn’t be factored into the fantasy of contract prediction. Winning a game against the Hanshin Tigers has nothing to do with striking out Robinson Cano with the game hanging in the balance in late September. Still, 24-0 is a shiny Rolex, it’s simply not indicative of wealth. Tanaka was posted on Thursday. For the next 30 days, any MLB club game to deposit a fully refundable $20M can negotiate directly with the Japanese superstar. 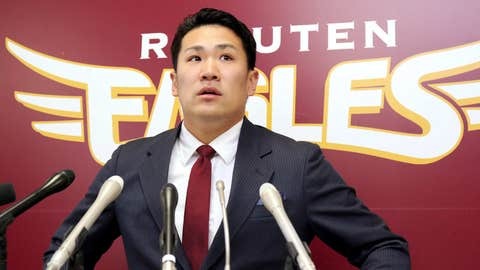 Once an agreement is consummated, the club will forfeit the deposit to the Rakuten Eagles of the NPB. If Tanaka fails to reach an agreement with an MLB club, the release fee is not owed and the earliest he will be posted again is Nov. 1, 2014. This won’t likely happen, but it is a significant point largely because MLB teams can rest assured that they will not be liable to pay the Eagles a dime if he a) signs with another team or b) they are unable to reach an agreement with him. So, theoretically, every MLB team has the capability and means to at the least engage in negotiations with Tanaka. This was not the case with Yu Darvish, whose $51.7M posting fee took all teams but the Rangers, who bid that figure, out of the running. Darvish could only negotiate with the Texas club per the prior posting policy. Darvish’s sole leverage was the threat of returning to Japan rather than the chip of inking a pact with a competitor. If Darvish were to hit free agency today, as a 27-year-old, a strikeout king and a true Cy Young candidate he would likely smash salary records based purely on projections. Zach Grienke signed a six-year, $147 million deal with the Dodgers as the top free-agent pitcher on the market last offseason at an AAV (Average Annual Value) of $24M. Greinke posted a 2.9 fWAR in 2013, Darvish posted a 5 fWAR. Perhaps fittingly, the team in most need of Tanaka’s services is the New York Yankees, if they are to return to a truly prominent space in the AL East. The Yankees employ Hiroki Kuroda, who has been most commonly compared to Tanaka from a talent and pure stuff perspective and will earn $16M on a one-year contract in 2014. Kuroda, of course has a proven MLB track record that in some ways is offset by his advanced age when attempting to use him as a salary comp. He will compete in the 2014 season at 39 years of age. No Japanese pitcher with a substantial sample size in NPB history has matched the dominance of Tanaka through age 24. That includes Darvish, Kuroda, Hideo Nomo and Boston’s Koji Uehara whose age 24 season was comparable but otherwise lacked the early track record to stack up against Tanaka. The issue for teams like the Yankees, Cubs, Angels and Dodgers, who are all rumored to be in hot pursuit of the Japanese right-hander, is that success in Japan doesn’t necessarily translate to the US. Clubs will need to proceed with caution when thinking through the acquisition of Tanaka. Kei Igawa and Daisuke Matsuzaka represent the most recognizable examples of Japanese pitchers that didn’t meet expectations in the US and had difficulty with the cultural transition. That said, Dice-K did help the Red Sox win a World Series and many would say he was worth the cost of acquisition. And again, these guys were not as spectacular in Japan. If you’re looking for a MLB example of a guy who was dominant as a youngster and regressed as an additional cautionary tale, Atlanta Brave Steve Avery fits the bill. Avery averaged nearly 3 fWAR through his age 23 season, his fWAR regressed along with his peripherals from age 24 on. He may have been overused as a young kid piling up 667 innings in his age 21-23 seasons. Tanaka, who has 1,313 innings logged in Japan to date, has been identified as having “less-than-perfect” mechanics; Avery surely falls into the same bucket. Attempting to predict shoulder and elbow issues due to extensive innings early in a pitchers career is an inexact science. Basically, Tanaka is far from a sure thing. Scouts that I’ve consulted with don’t all love Tanaka the same way they did Darvish. Tanaka doesn’t profile physically as a top of the rotation starter like Darvish and lacks the strikeout numbers unique to Yu. Tanaka’s fastball on video looks somewhat flat, which would need to be overcome by extraordinary command to play at the MLB level. Still, a GM told me that he expects Tanaka to grab a contract in the neighborhood of six years and $105M. Add in the $20M posting fee and it’s a $125M spend for the team that ends up landing his services. I believe that the final number will be north of the GM’s prediction because the upside is so great based on Tanaka’s age. Let’s say his numbers and skillset translate enough to make him a No. 2-3 starter in the AL East, which is where most scouts slot him. I’d say John Lackey, who posted a 3 fWAR in 2013 is a fair comp. If a win is worth roughly $6M, Lackey is worth $18M a year if we are to expect last season’s performance. Lackey’s actual salary for 2014 is $15.25M. The AAV on his current deal is $16.5M – but he inked it at age 30. If you follow the line that because Tanaka will pitch 2014 at age 25 you are buying his true prime years like I do, one could make the case that he’s worth more than Lackey and should be signed to a longer contract. Tanaka at seven years and at the exact AAV of Lackey gets $115.5M. I’d submit that Tanaka’s marketing value over the course of seven years in a city like New York or Los Angeles with their enormous Asian communities offsets the $20M posting fee. Accounting for the fact that Lackey’s deal was signed five years ago, I think you can add to Tanaka’s AAV a bit. 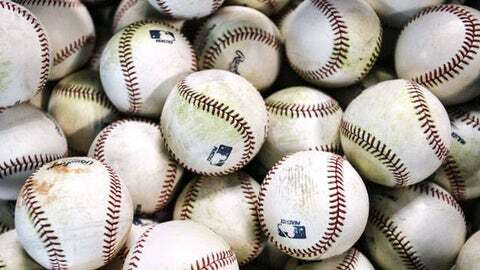 Sprinkle in a potential bidding war between for the sake of example, the Yankees and Cubs and we may see a contract that jumps into the seven years, $125M range. Just for fun, seven years of 3 fWAR at $6M per comes out to $126M. I recently spoke to an international scout familiar with Tanaka’s value who suggested that the contract negotiations will start at six years and $100M. The Japanese idol recently signed with Casey Close, who will represent Tanaka in this contract negotiation and is the agent behind New York Yankees superstar Derek Jeter. We are about to see some fireworks. Grab your beach chair, post up and enjoy.